Transportation between London, Paris and Rome via Standard Class rail with reserved seats and airfare into Rome included. Royal National​ - with Breakfast each day. ​All seven of the Imperial London Hotels are in the heart of Bloomsbury in Central London. Ideally located between the City, the Law Courts and West End, the hotels are also a short walk from the British Museum, Covent Garden, Oxford Street and University College London. BusLondon Buses stop near all the hotels. Airport transfers are available from the front of each hotel organised through the porters (payable locally). UndergroundRussell Square station on the Piccadilly Line is close to all the hotels and stops at Heathrow Airport, Covent Garden, Leicester Square, and Knightsbridge (Harrods). TrainKing's Cross, Euston and St. Pancras Stations are a short walk from the hotels. CarThere is underground (pay) parking at the Imperial, Royal National, President and Bedford Hotels. - with breakfast each morning. 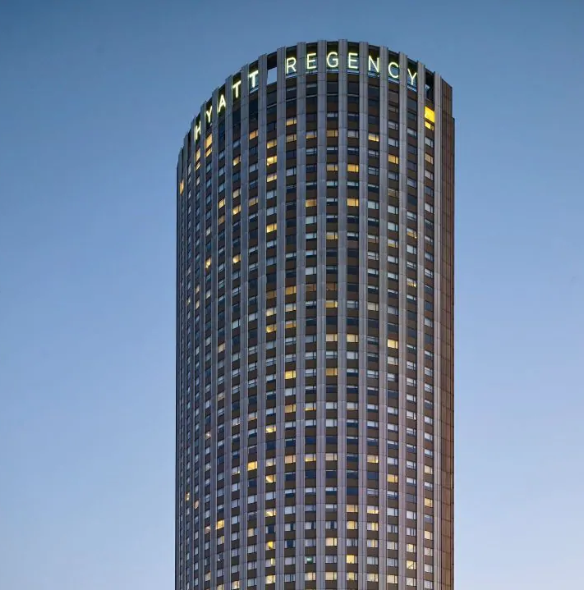 The only skyscraper hotel in Paris, offering breathtaking views over the city After 2 years of total transformation, discover the brand new Hyatt Regency Paris Etoile, only skyscraper hotel offering spectacular views over Paris and its most beautiful monuments, from the Eiffel Tower to the Arc de Triomphe. 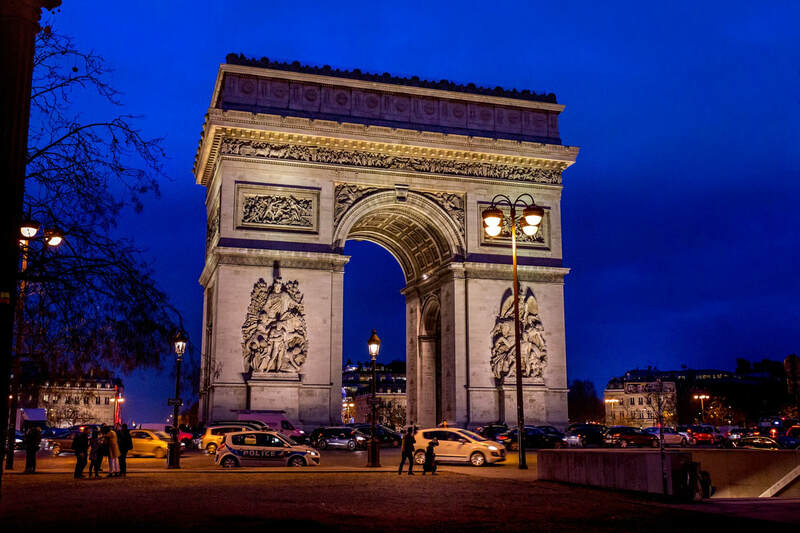 Ideally located between the business district of La Défense and the Champs Elysees, the hotel is directly connected to the Palais des Congrès Paris, its shopping center, theater, restaurants, parking. * Local tourism taxes are not included, and must be paid by the group directly to the hotel on the spot upon check out. 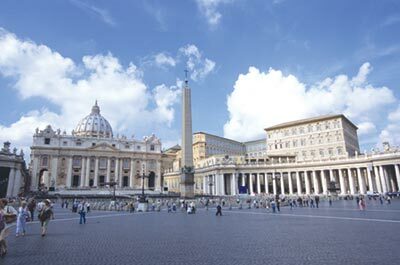 Shuttle service provided from hotel to airport - where you fly to Rome. The Hotel Mediterraneo, 4-star hotel in the center of Rome, is positioned on the Esquiline Hill, the highest of the seven hills, to offer its guests a magnificent view of Rome. Its central position, near the Termini Station, allows you to visit on foot the main monuments in the center of Rome: the Trevi Fountain, the Colosseum, the Imperial Forums, the Opera House, the National Roman Museum and S. Maria Maggiore . The Termini Station and the subway are a stone's throw away for getting around the city. 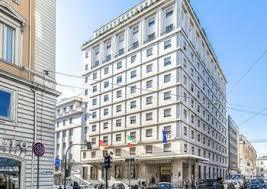 The direct train, to and from the Leonardo da Vinci airport in Fiumicino, can be reached a few meters from the hotel. With 50 meters of height, 10 floors and 245 rooms is the tallest building in the center and its decoration is inspired by a severe and monumental luxury, typical of the forties and the style of the "white phones". In the hall there are marble busts of Roman emperors and mosaics depicting the story of Ulysses. *Local tourism taxes are not included, and must be paid by the group directly to the hotel on the spot upon check out. Shuttle service provided from hotel to airport - HOME! At 135 meters high, The Coca-Cola London Eye is the world's tallest cantilevered observation wheel. During the graceful 30 minute experience, customers can see up to 40km from their fully enclosed, state of the art glass capsules. Since opening in 2000, it has welcomed over 36 million visitors and has won 80 awards for design and engineering, tourism, customer service as well as numerous people's choice awards. In a short period of time, it has become a 21st century symbol for modern Britain and a global icon. The Coca-Cola London Eye now boasts the first live action 4D attraction film ever filmed and produced in the UK. Capitalizing on the latest cutting edge technology, 4D adds a new dimension to traditional 3D technology; using sensory effects such as wind, snow and even smell to bring to life the images on screen. *Admission to the London Eye 4D Experience will only be valid on the day of your London Eye flight. The tour begins with a panoramic drive around Parliament Square to see the magnificent Westminster Abbey, where Prince William and Kate Middleton were married. See the Royal Albert Hall and Albert Memorial, Whitehall, Downing Street, the Houses of Parliament, the London Eye, and Big Ben. Continue to St James' Park and Buckingham Palace to see the colorful ceremony of Changing of the Guard*, when held. *The Changing of the Guard is subject to occurrence. If it is not taking place, the tour will visit the Horse Guards Parade. Drop-off at city center. Approximate tour duration is 3.5 hours. Discover the Original sightseeing tour of Paris with Big Bus Paris in an Open Top Double Decker bus. 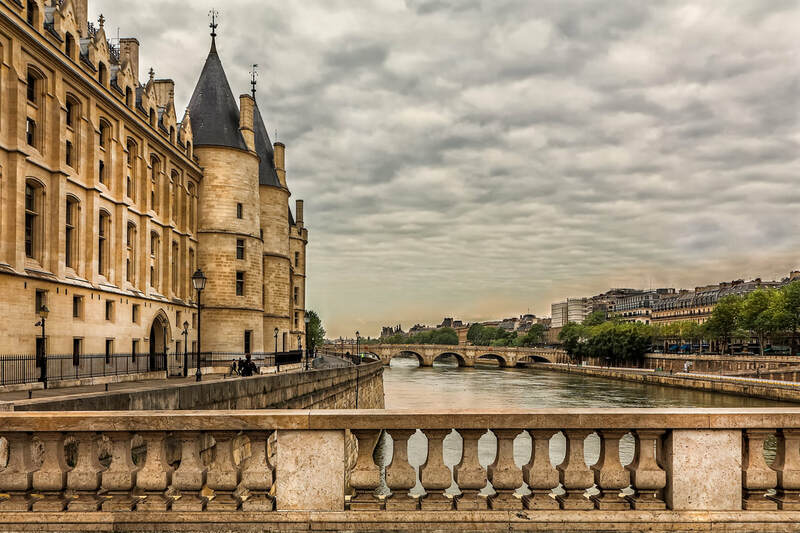 This guided Hop On Hop Off tour is ideal for the tourist who wants to visit Paris. The City tour is commentated in 9 languages and welcomes tourists from all around the world. Don't hesitate to hop off the bus and walk around. Your ticket is valid for two consecutive days, which means that you can leave the tour at any one of 9 stop off points and then hop back on one of the following buses. No more tired feet, no more rushing to fit everything in. With this sightseeing tour, you can spend the time you want to at the sights you want to see! 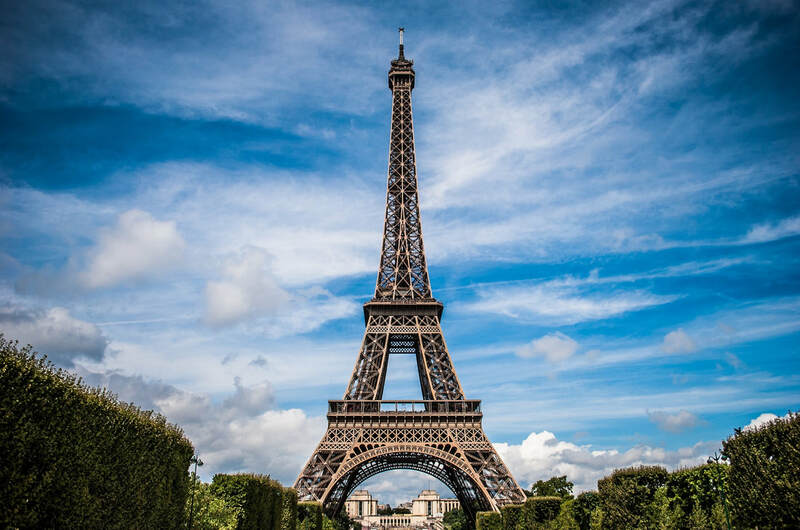 Departs every 10-20 minutes between 9:40am - 5:00pm from main starting points: Trocadero at Avenue Paul Doumer; Eiffel Tower on Avenue de Suffren; Champ de Mars at Avenue Joseph Bouvard; Opera Garnier, facing 15, Rue Scribe; Louvre-Pyramide & Big Bus Information Centre at 11 Avenue de l’Opera; Louvre-Pont des Arts near Pont des Arts; Notre-Dame on Quai de Montebello facing Notre-Dame; Musee d’Orsay facing the museum; Champs Elysees facing 156, Avenue Champs-Elysees; & Grand Palais at Avenue Winston Churchill. Look for a BIG BUS sign to locate all bus stops. Redeem this voucher on the bus at any of the main stops. This is a 2 day pass.